Secret Wars is the first book to systematically analyze the ways powerful states covertly participate in foreign wars, showing a recurring pattern of such behavior stretching from World War I to U.S.-occupied Iraq. 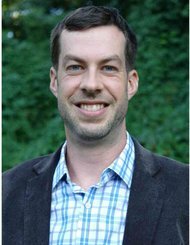 Investigating what governments keep secret during wars and why, Austin Carson argues that leaders maintain the secrecy of state involvement as a response to the persistent concern of limiting war. Keeping interventions "backstage" helps control escalation dynamics, insulating leaders from domestic pressures while communicating their interest in keeping a war contained. Carson shows that covert interventions can help control escalation, but they are almost always detected by other major powers. However, the shared value of limiting war can lead adversaries to keep secret the interventions they detect, as when American leaders concealed clashes with Soviet pilots during the Korean War. Escalation concerns can also cause leaders to ignore covert interventions that have become an open secret. 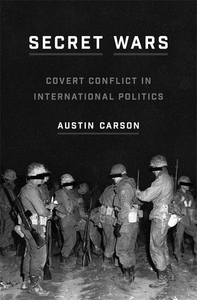 From Nazi Germany's role in the Spanish Civil War to American covert operations during the Vietnam War, Carson presents new insights about some of the most influential conflicts of the twentieth century. Parting the curtain on the secret side of modern war, Secret Wars provides important lessons about how rival state powers collude and compete, and the ways in which they avoid outright military confrontations.